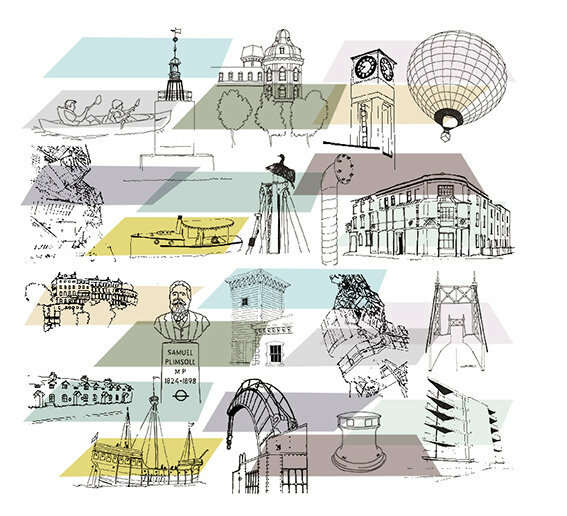 20 illustrations completed for my picture 'A Walk Around Bristol Harbourside'. I have also faded / tinted the overlapping blocks of translucent colour to hues I have chosen from those found in and around the Harbourside. I am aiming for 30 illustrations so ... 10 to go!